Unconverted lofts are not always the nicest of environments to work in, often they are dusty, hot in the summer and dark with no natural light. Velux windows are quick and easy to install and will solve these problems making for a much more pleasant working environment. In this section you will find photos and videos of the loft before work started and how the Velux rooflights were installed. 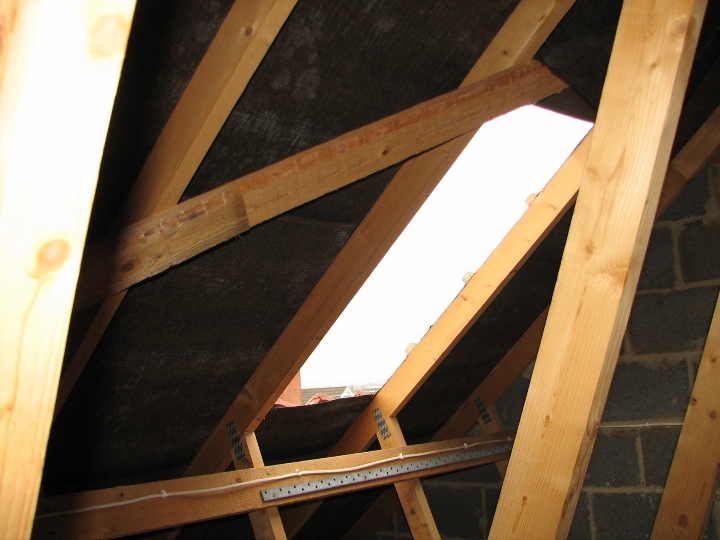 Installing Velux rooflights is not too difficult, all of the work can be done from inside the loft so there's no need to venture outside onto the roof. 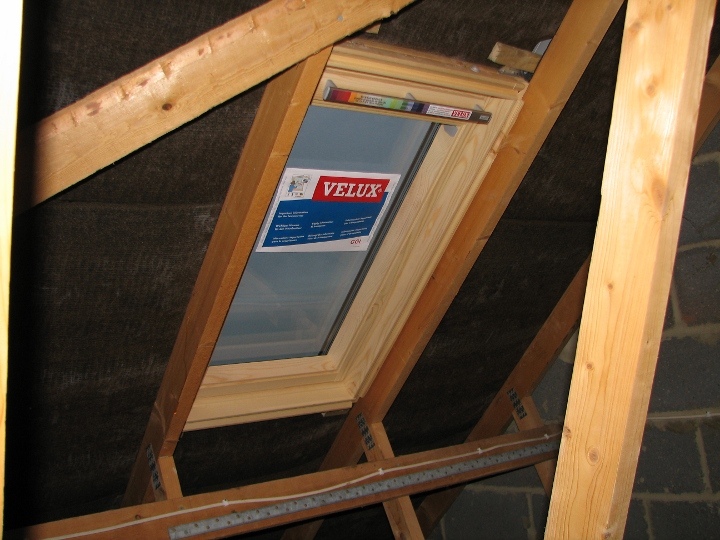 Velux windows are available in a range of sizes designed to fit between standard size rafters. Our house being a new build had standard spacing on the rafters so the Velux was a perfect fit between.The Velux windows can be placed in any position in the roof, but putting them between existing rafters saves some work. Two of the five Velux windows were put in at first, it was surprising how much light they let in. With plenty of light and fresh air the builders were able to get on with preparing for the steel RSJs which were due the next day. 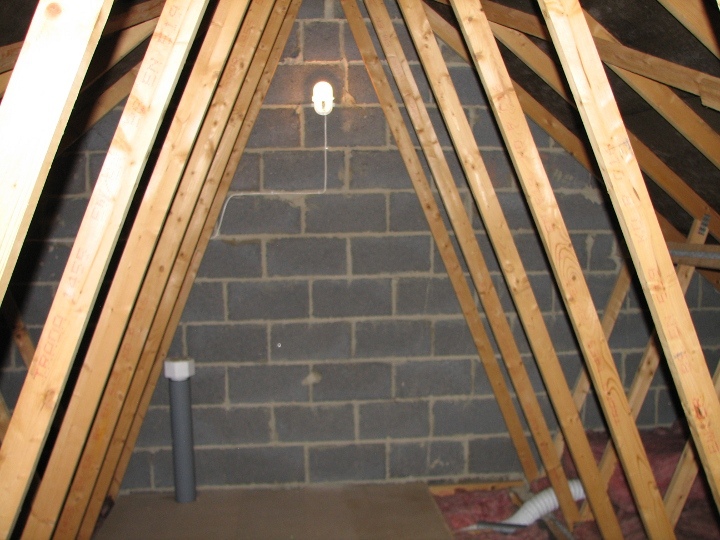 Here's a few pictures of the loft before any work had started and there is also a short video lower down the page. 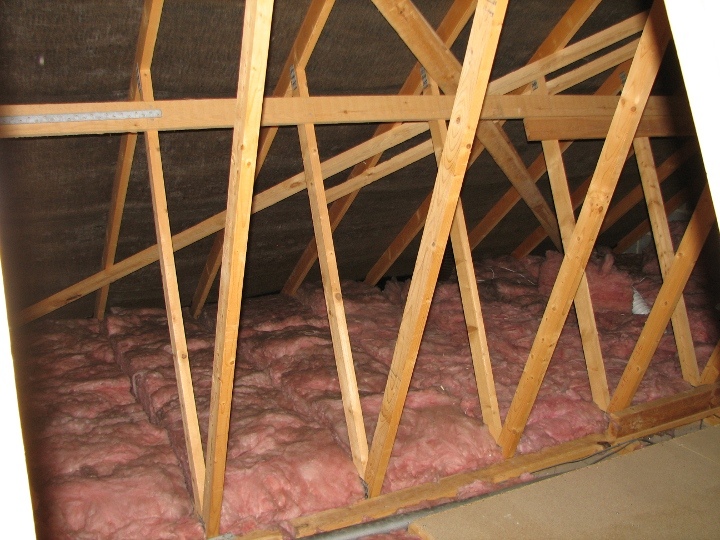 Its a modern design truss roof so there's a bit more work to cut out the rafters, but contrary to what many people seem to think a truss roof is still fairly easy to convert. 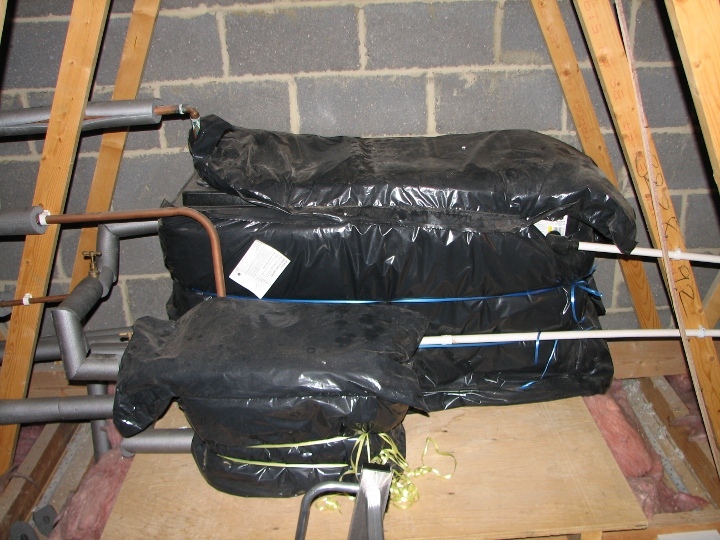 The loft also stores the cold water tank and the hot water expansion tank for the heating system, both these tanks will be removed when the new combi boiler is installed. The builders will mostly access the house from the outside but the loft ladder and boarded storage area will make working up in the loft a bit easier. In the video below you can see the loft space before any work started on the conversion. The water tanks are still in place as are all the structural trusses of the original roof. 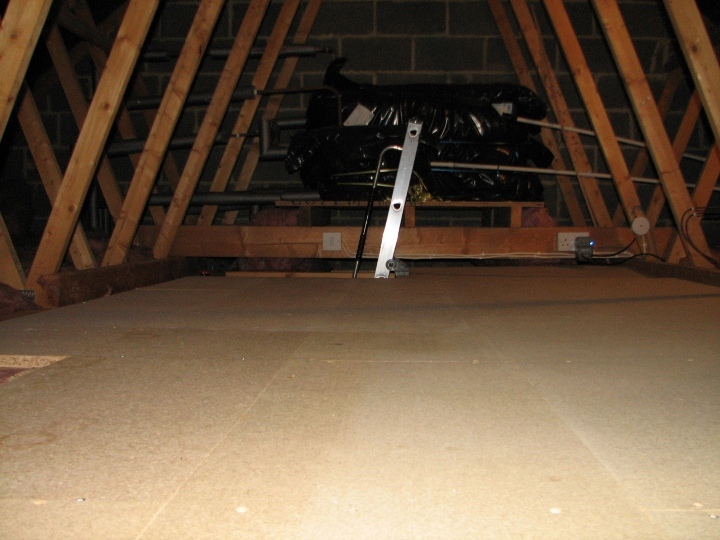 The area has been used for light storage and access has been via a cheap aluminium loft ladder.